Can Drinking Red Wine Boost Longevity? Resveratrol is a naturally-occurring polyphenol compound that is found in red wine, red or purple grapes, some berries, and dark chocolate. Resveratrol has been touted as a potential remedy for a range of age-related conditions, including heart disease, diabetes, cancer, and Alzheimer's disease. Resveratrol is also said to contribute to the "French paradox"—the observation that people living in France tend to eat a lot of cheese, butter, and other fatty foods yet have a low incidence of heart disease. Consumption of the compound has been found to mimic a calorie-restricted diet, which studies have shown can play a role in longevity, and decrease chronic inflammation in the body. For a review published in Clinical Nutrition in 2015, researchers analyzed six previously published studies on the effects of resveratrol on blood pressure and concluded that resveratrol didn't significantly reduce blood pressure. Higher doses of resveratrol (over 150 mg per day), however, were found to significantly decrease systolic blood pressure (the top number on a blood pressure reading). Another review, published in the International Journal of Cardiology in 2015, examined the effectiveness of resveratrol on cardiovascular risk factors. After analyzing 10 previously published studies, researchers concluded that the analysis did not suggest any benefit of resveratrol supplementation on heart disease risk factors, including levels of total cholesterol, LDL cholesterol, triglycerides, blood pressure, and C-reactive protein (a blood protein that is raised when there is inflammation, including in heart disease). There's some evidence that resveratrol may not prolong life, according to research on people living in Tuscany who consume a diet rich in resveratrol from food sources like red wine. In a study published in JAMA Internal Medicine in 2014, 783 men and women 65 years or older were followed from 1998 to 2009. During that time, intake of red wine (as measured by urine levels of resveratrol metabolites), didn't change the likelihood of dying from any cause, the incidence of heart disease or cancer, or markers of inflammation. 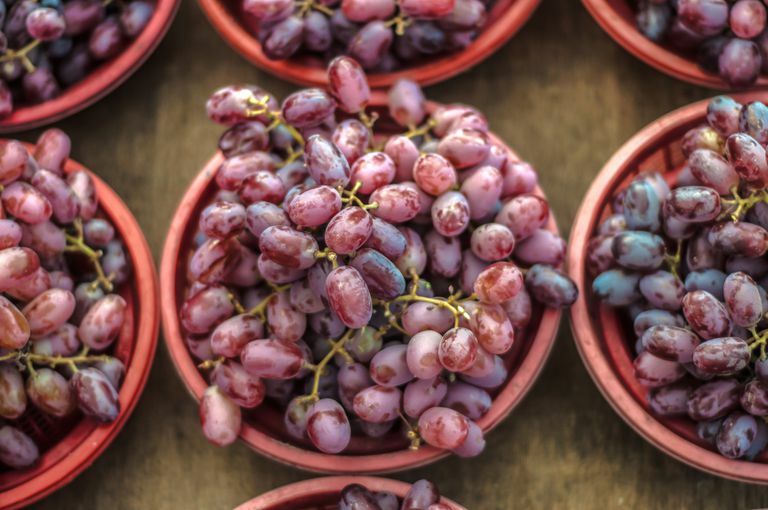 A number of preliminary studies suggest that resveratrol may have anti-cancer effects. In a 2016 animal study, for instance, resveratrol suppressed ovarian tumor regrowth after chemotherapy. Published in Cancer, the study found that resveratrol inhibited the uptake of glucose by cancer cells (many cancer cells depend on glucose as their energy supply). Despite these findings, the data from the limited human clinical trials have shown inconsistent outcomes and the American Cancer Society cautions that randomized clinical trials are needed to confirm the cancer-fighting effects of resveratrol. There is also some concern that resveratrol may influence levels of estrogen and other hormones. Little is known about the safety of long-term or high-dose use of resveratrol. Since resveratrol may possess estrogen-like properties, some medical experts recommend that people with hormone-sensitive cancers (including cancers of the breast, ovary, or uterus), pregnant women, and children avoid taking resveratrol. In addition, resveratrol may interact with blood thinners like warfarin, aspirin, and ibuprofen, which may raise your risk of bleeding. According to one study, high-dose resveratrol supplementation was associated with fever, reduced blood cells, and decreased blood pressure. There is some concern that high doses of resveratrol supplements could lead to kidney problems in some people. There is no recommended dose or intake of resveratrol. However, one review of studies found that "low doses of resveratrol protect health from different types of diseases, while high doses resveratrol can be detrimental for health." In research, scientist have used different doses based on the area of study. For example, 250-1000 mg was used daily for up to three months in a study that examined the relationship between resveratrol and diabetes. In another study that investigated the compound's role in managing hay fever, two sprays of a 0.1 percent resveratrol nasal spray into each nostril three times/day for up to four weeks. Since the compound was first described in 1992, resveratrol has been studied for its much-touted benefits on the brain, heart, and lifespan, but recent research casts doubt on the notion that resveratrol supplements can help you live longer or lower your risk of heart disease or cancer. If you're wondering whether a daily glass of red wine or piece of dark chocolate will improve your health, some researchers note that consumption of red wine, dark chocolate, and some berries have been found to decrease inflammation and have heart-healthy benefits, and suggest that other compounds in these foods may contribute to these benefits. It's impossible, however, to get anywhere near the doses used in studies from food sources. Many of the studies have used a dose of about 100 mg or more of resveratrol, while a 5-ounce glass of red wine only has about 1 mg of resveratrol. It's important to note that increasing your intake of red wine comes with a trade-off. Consuming too much may raise your risk of high blood pressure, liver damage, obesity, and some forms of cancer. To boost your intake without consuming alcohol, try eating foods like grapes, raspberries, plums, blueberries, cranberries, grape tomatoes, and pomegranate (all of which are rich in resveratrol and a range of antioxidants and nutrients). In addition to food sources, resveratrol is also found in Japanese knotweed (Polypodium cuspidatum), grape seed extract, Cissus quadrangularis, and white mulberry (Morus alba). Trans-resveratrol is a form of resveratrol commonly found in supplements. Proponents often claim that trans-resveratrol is the most stable form of resveratrol. Pterostilbene is a compound related to resveratrol. If you're still considering using resveratrol supplements, talk to your healthcare provider before starting your supplement regimen to weigh the pros and cons and discuss whether it's appropriate for you. Liu Y, Ma W, Zhang P, He S, Huang D. Effect of resveratrol on blood pressure: a meta-analysis of randomized controlled trials. Clin Nutr. 2015 Feb;34(1):27-34. Sahebkar A, Serban C, Ursoniu S, et al. Lack of efficacy of resveratrol on C-reactive protein and selected cardiovascular risk factors--Results from a systematic review and meta-analysis of randomized controlled trials. Int J Cardiol. 2015;189:47-55. Semba RD, Ferrucci L, Bartali B, et al. Resveratrol levels and all-cause mortality in older community-dwelling adults. JAMA Intern Med. 2014 Jul;174(7):1077-84. Tan L, Wang W, He G, et al. Resveratrol inhibits ovarian tumor growth in an in vivo mouse model. Cancer. 2016 Mar 1;122(5):722-9.